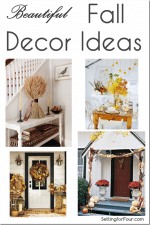 Announcing ‘The Scoop on Creating Fall Vignettes’ Blog Hop. Be sure to mark your calendars –it starts tomorrow November 8th and ends tuesday Nov 12th. 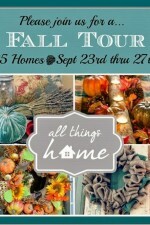 25 Bloggers over 5 days showing you the most wonderful autumn vignettes. 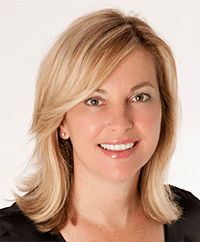 There will be tons of inspiration you don’t want to miss! 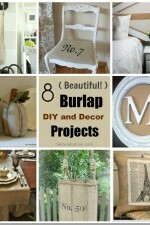 Such an amazing talented group of bloggers! 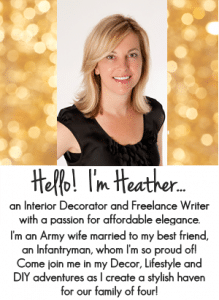 Bookmark the dates so you don’t miss a post! 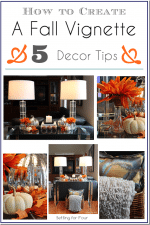 I am sure you will find tons of inspiration and helpful tips on how to create your own fall vignettes! 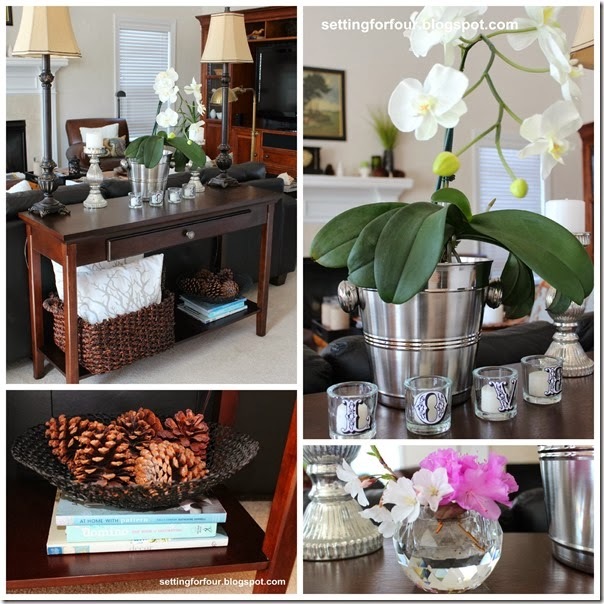 Check out my tip filled post on How to Decorate a Sofa Table in the meantime! 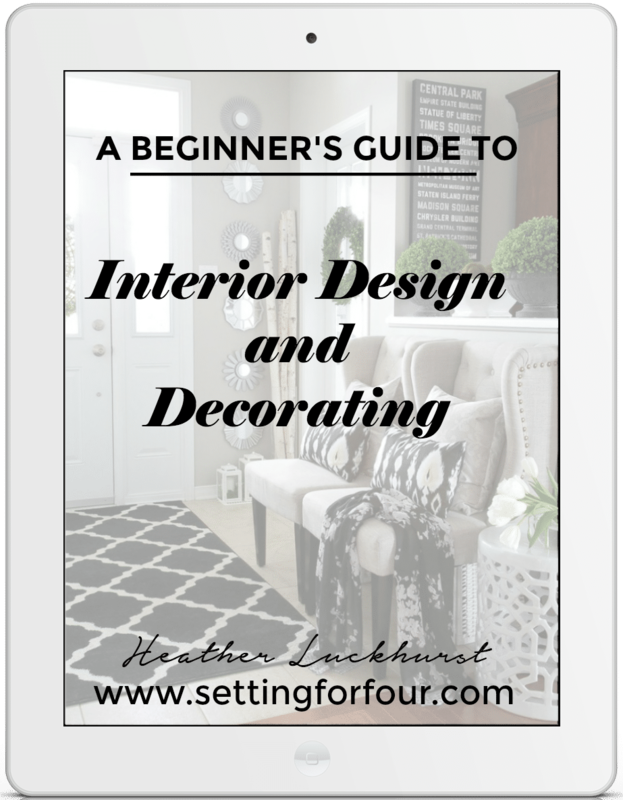 For more Decorating Tips visit my Decor & Design Ideas and Tips Page! 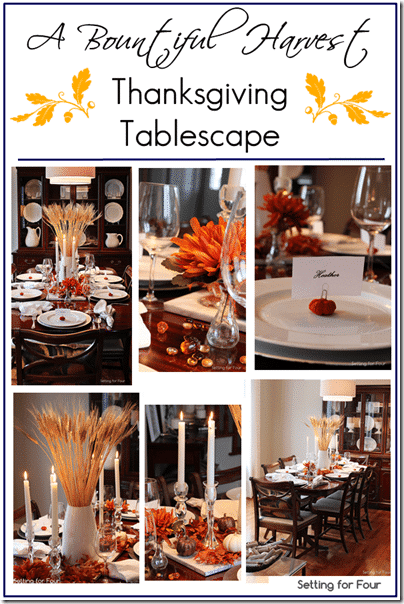 …and my recent decorating post How to Create a Thanksgiving Tablescape!